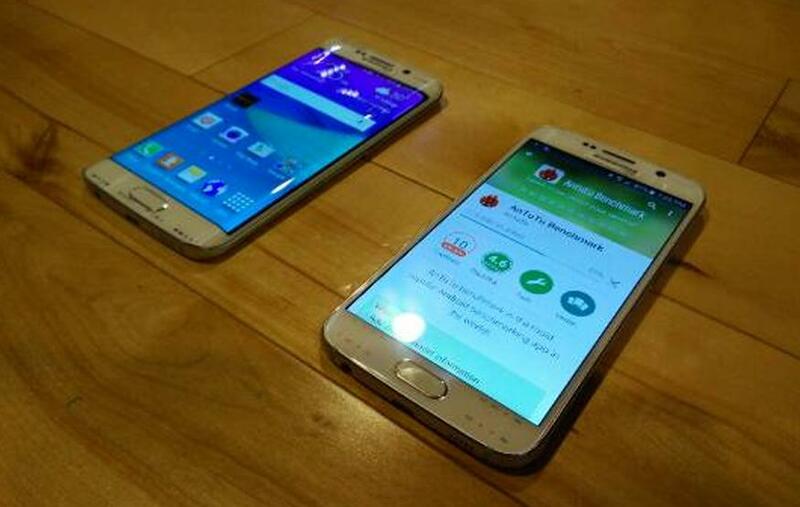 Two photos posted on mobile software development community XDA Developers seemingly confirm the existence of both the Samsung Galaxy S6 and Galaxy S6 Edge (potentially, Galaxy S Edge), showing the two unreleased smartphones side by side. The photos corroborate the rumours that Samsung is planning to announce two new flagship handsets at Mobile World Congress on March 1 (UTC+1). As with Samsung's pre-launch promotional materials, the leaks show the Galaxy S Edge's curved screen won't be quite as extreme as that found on the Galaxy Note Edge, suggesting it might be utilised in a different way. The angle of the photos makes it hard to confirm whether both sides of the Galaxy S Edge's screen are curved.